When you are looking to invest in furniture for your living room, it is advisable to make sure that you purchase a good quality sofa or living room suite. When you think about all of the time that you and your family are going to spend sitting on your sofa and chairs, you want to make sure that it is going to remain comfortable, and also last the test of time. A good way to keep your plush sofas and chairs looking good is to look after them, and regularly clean them. With some effort and a little bit of time, it is really quite easy to keep your leather sofa looking pristine. Once a week you should vacuum any dust or debris from your sofa, taking out the cushions and getting into all of the little nooks and crannies. Take a damp cloth and wipe down the surface of your sofa to remove any dust and blemishes. To make your leather sofa shine like new, make sure that you regularly apply a leather conditioner to your sofa, which will help it to look as if it has just come out of the showroom. There are various products available on the market, when you purchase your leather sofa you should also see which products are recommended by the retailer. Always make sure that you read the instructions properly, and use the conditioner accordingly. Unlike with sofas made from material, leather sofas do not tend to absorb spillages and stains as quickly. If you do have a spillage on your leather sofa, wipe the sofa immediately with a dry cloth, soaking up all of the liquid. Leave the area to dry thoroughly, and eventually there should be no sign of an accident at all. Make sure that you do not use cleaning products or detergents which are not specifically designed for leather, as you could leave unsightly blemishes n the leather which you cannot remove. Most retailers will be able to provide you with all of the relevant material to show you how to maintain and care for your new plush sofa. Just the same as with a leather sofa, you will need to clean and maintain your fabric sofa regularly, in order to keep it looking good. With a fabric sofa, you may get snags in the material, which should be cut off as soon as you see them. You should vacuum your sofa regularly to remove dust and debris, and you will need to give it a more thorough going over than if you had a leather sofa, as the fabric absorbs a lot more dust. There are plenty of products available in the market which you can use to shampoo your sofa, as well as a variety of products which are good for stain removal. 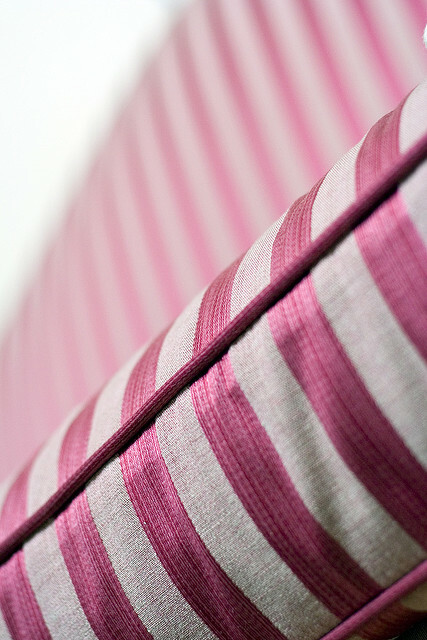 Giving your fabric sofa a good clean with shampoo every three or four months, will help to keep it looking great. You will need to be careful with stains and spillages as a fabric sofa will absorb liquid more quickly than a leather sofa. Get a dry cloth and absorb as much of the liquid you can, being careful not to work the liquid into the material any more than is necessary. Use a fabric stain remover which is suitable for the type of material that your sofa is made from, and follow the instructions carefully. This should remove the stain, depending on what has been spilt. Some stains are very stubborn and seem almost impossible to get out fully. If this is the case then you can easily hide any unsightly stains or blemishes, by using a throw, or blanket, and positioning this over any unsightly marks. You can always use a blanket over your sofa from day one, and that way you can almost avoid and stains or spillages on your sofa, completely! This is some interesting bits of advice. I do try to keep my furniture looking nice, but with three kids and usually having a house full of pets it makes it hard.